Styletag.com, an online destination focusing on stylish and sophisticated merchandise sourced from leading designers, saw a one-of-a-kind launch at the luxurious and classy Embassy Grove last evening amidst glitz and glamour of designer fashion. 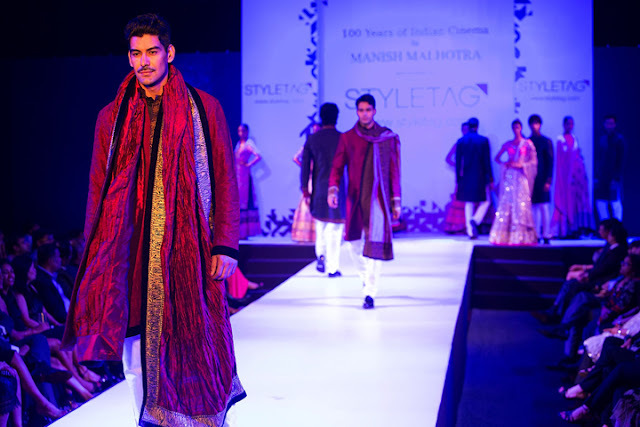 Manish Malhotra, India’s renowned fashion couturier, presented a fabulous show in Bengaluru to mark the launch of Styletag. The fashion show – ‘100 years of Indian Cinema’ – displayed the timelessness of Indian movies, the elegance, the exquisiteness and the luxury of it all which is synonymous with Styletag. The who’s-who from Bengaluru joined Styletag to celebrate the launch occasion. Seen having a good time were Nandini Alva, Vinita Chaitanya, Betsy Alexander, Anju & Ajay Nanavati, Gautam Maini, Prasad Bidappa, Radha Thomas, Ramji Chandran, amongst others. The portrayal of the exquisite designs in an elegant manner by the celebrated Manish Malhotra was not all the evening offered. The evening was made more pleasing with the live and energetic performance by One-Nite Stand, a Bangalore-based band, which covered a variety of genres from old rock, retro, to the more popular pop with sprinklings of jazz. 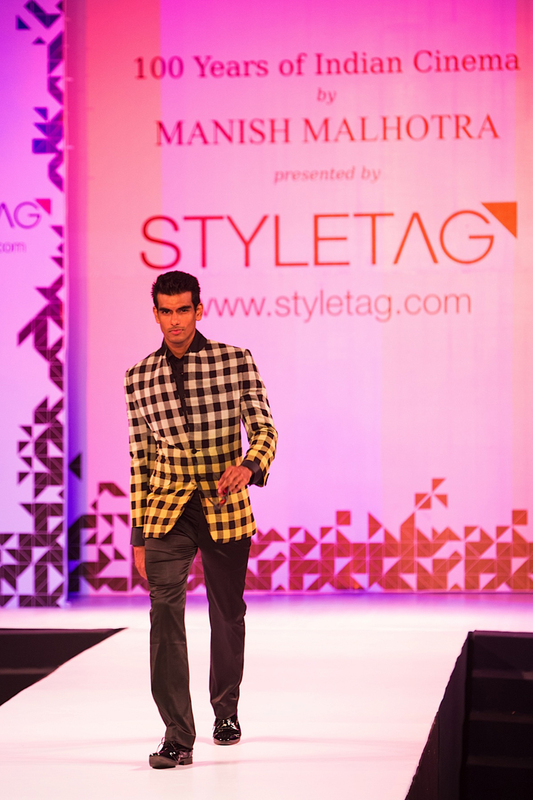 This fusion added an edge of eclectic to the glamorous ambience of the fashion show. There was also a silent art auction for charity and the winning bids were announced at the end of the night. Highlight of the event was luxurious villas by Embassy Grove and amazing social work by Parikrma Humanity Foundation! 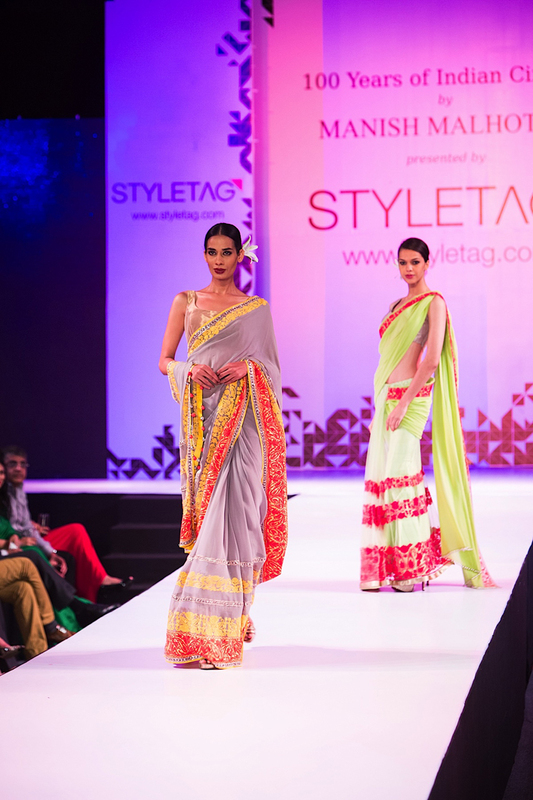 Usually I'm not such a big fan of Manish, but that grey saree with the orange and yellow borders is just so pretty. The dresses are just simply gorgeous! Aww, so beautiful, my dear.